Dave Winer asked me to comment on why Harrison Ford's plane crash. I heard Ford's brief conversation with the tower just after he took off where he reported "Engine failure, immediate return." So, why did his engine fail during the most critical part of flying (taking off) is the question? It could be anything, wrong fuel, water in the fuel, engine "threw a rod." Small planes, like this, are nothing more than internal combustion engines like in a car. The problem, right after you take off in a small plane and lose your engine is, if you're below about 1,000' above the ground, you can't make the 270° turn needed to get back to your departing runway (a 180° turn puts you in the opposite direction, but you're displaced about half a mile from the runway, so you need to turn another 45° to get back to the runway and then another 45° to line up with the runway). I've flown out of the same airport (Santa Monica Airport), several times and, other than the golf course, you don't have many other immediate landing options. I also saw a video of Ford gliding into the golf course and it looked like he was going straight and not turning back to the airport which is smart, since he wouldn't have made it back to the runway. This attention is unfortunate for Santa Monica airport. 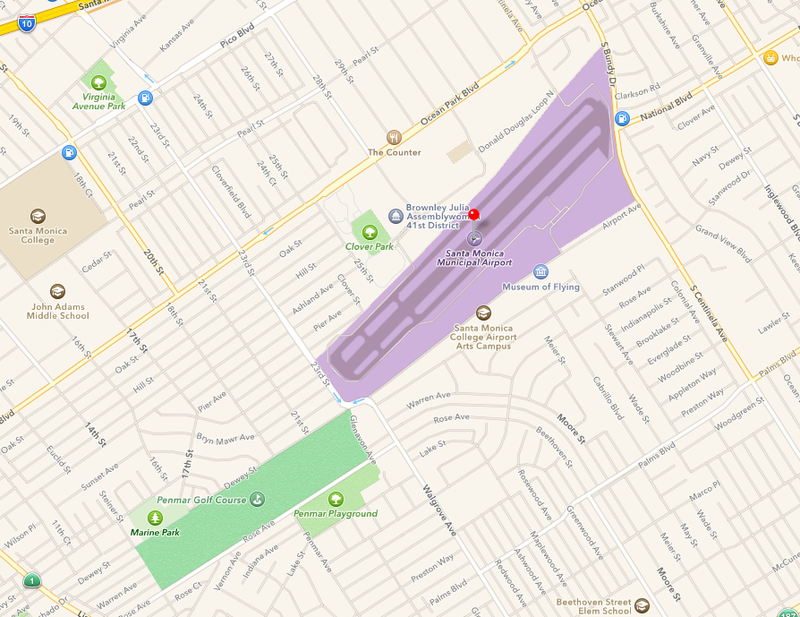 The city dislikes this airport because the approach is over Beverly Hills and they'd love to close it down, but they have a contract with the FAA to keep it open.